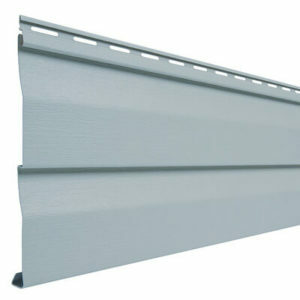 Siding is an important component of your home that you should take your time in selecting. It can seem like the brands that want your attention are never-ending. Overall, you’re going to want the best quality for your investments. To help you in this selection process, we’d like to tell you about another brand that we stand by: Mastic. This brand offers different tiers of products that can meet your siding needs and budget. Here are three product lines that rank from best to good. Insulated- As its name suggests, this siding comes with extra insulation to keep your property’s internal temperature protected from extreme weather conditions and external noises. Non-insulated- This type of siding isn’t equipped with insulation but will cost less because it incorporates less material. 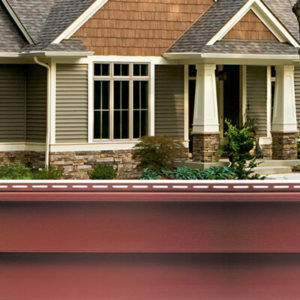 Depending on where you live, you’ll need a certain kind of siding for your property. For example, if you live somewhere that’s usually hot or cold, you’ll want insulated siding. You can also get non-insulated siding after getting a house wrap done. If you live in a temperate climate (like in Northern Virginia), you can get away with non-insulated siding. However, having more insulation is always better than none. You’ll still save on energy bills and you’ll have the added bonus of drowning out sounds from the street and your neighborhood. Mastic predominantly offers lap siding, which is the most popular type of cladding for homes. Mastic’s quality vinyl has the potential to have pronounced depth to enable countless textures, colors, and shadow lines to replicate classic materials homeowners love, like wood and stone. Structure is an insulation system that uses high-grade vinyl that’s fused with expanded polystyrene (EPS) foam. 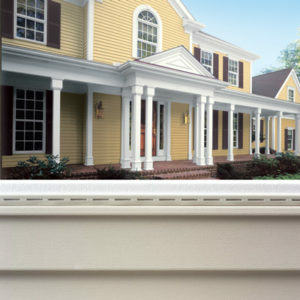 This is the best siding that Mastic offers, and it comes with the highest price tag. You’ll get plenty for what you’re paying though. Keeps out nuisance noises from your neighborhood or busy streets. Incredibly strong. So strong, in fact, that it comes with a lifetime warranty. 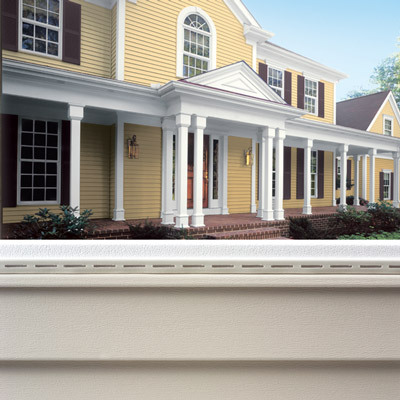 Its engineered siding material means that it’s not attracting bugs, wildlife, or prone to moisture damage. As you can see, you can get panels of different widths to match your tastes. Whether you want deep shadow lines and wide panels or shorter lap siding, Structure has the product that will meet your vision. If you want a good quality siding that isn’t as expensive as the Structure line, then Quest is the product line that would interest you. Here are Quest’s key features. Of these options, there’s definitely a product that can match your home’s aesthetic needs and your budget. Ovation is one of Mastic’s affordable lines. If you want a good brand of siding for your home but want to stay conservative with your budget, this is the product selection for you. Here are the key features of the Ovation product line. Synthetic vinyl is resistant to insects, mold, and moisture damage. Exclusive Snap+Lock+Hold™ Locking System keeps the panels in place, even when it’s windy. Each of these products come in many different colors and degrees of depth for shadow lines and textures. If you have any questions about any of these product lines and the types of siding that would be right for you, ask us anytime. 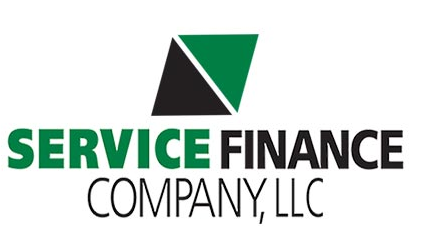 Call us today at (703) 404-0505 to set up a consultation to discuss your siding needs in Centreville, Great Falls, McClean, Sterling or other nearby cities in Northern VA or Maryland.